Drawing skills not required. We will be covering using: stencils, templates, or free hand drawing through a resist as well as transferring photocopies using a laser printer. Discussion of additional resists will be covered. 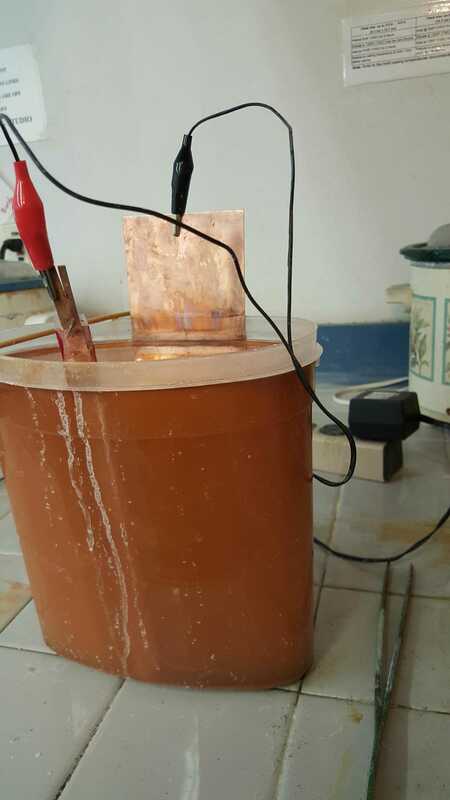 We will be etching copper and silver (optional), using a galvanic etching process without acid, harmful fumes, or expensive batteries, by converting a cell phone charger into a direct current source. 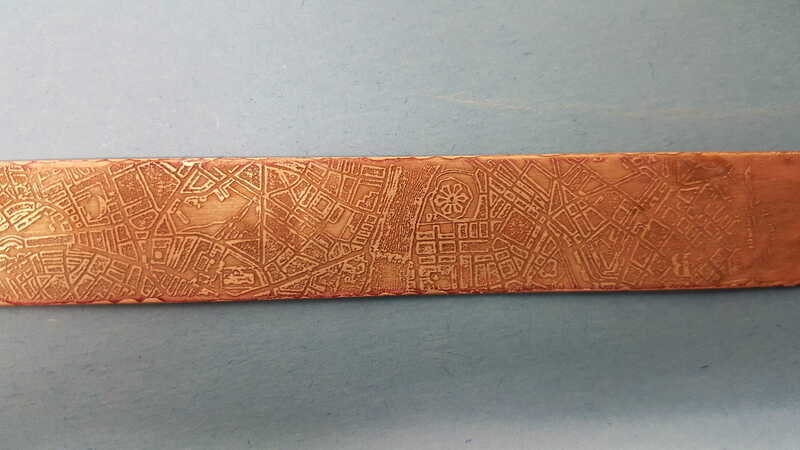 The etched plates can be used for print making, for jewelry making, or as a texture plate for PMC, Polymer clay, or roller imprinting. * Class time will be devoted to creating etched plates, not completing a piece of jewelry. Forming and Soldering of etched plates will be discussed. * The electrolytic bite produces a very clean, precise, etched line, with no undercutting that occurs with acid. Cross hatched lines retain their integrity, even very thin lines will not disappear as you etch. * Electro-etching is highly controllable and therefore consistent. * An electro-etching produces a uniform porous structure on a bare metal surface (a surface without a resist) that holds patina evenly. * Electrolytic solutions do not generate fumes or toxic gases during the etching or when they are kept in the tanks while you are not etching. 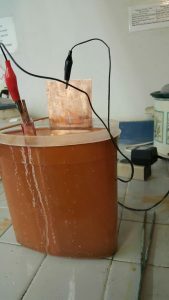 Lab Fee of $35 (payable to JM DeSpiegler): to cover copper for the class projects, electrolyte solutions (one for copper, one for silver), resists, use of tools & equipment as well as a handout. * File – #2 or #4 for smoothing edges – optional, the classroom has some. * Scribe – I have a few to share. 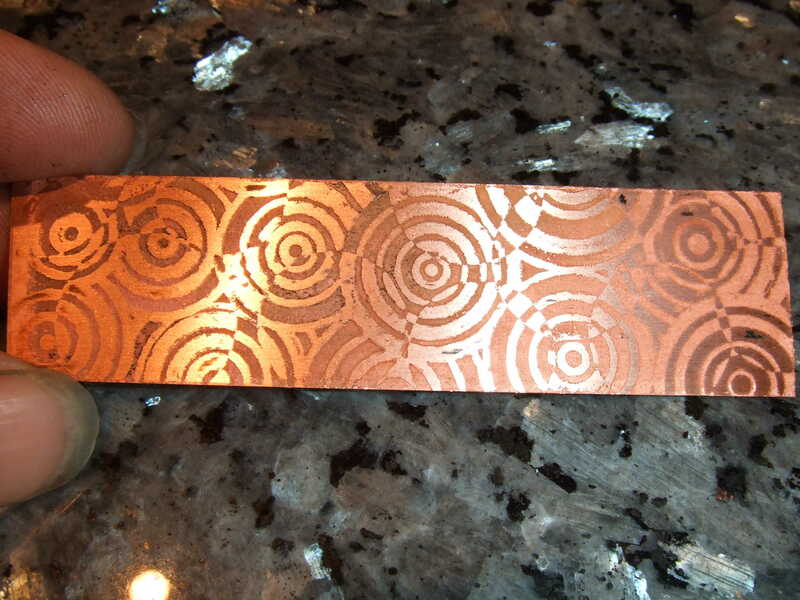 * Copper Sheet: any gauge, scraps that are 3” x 3” or less. We may be able to accommodate a 6: strip for one or two students. * OPTIONAL: Sterling or Argentium sheet: any gauge, scraps that are earring sized or 6 inch by 1 inch for a cuff bracelet. You may also make samples, these are just suggestions. * Rubber gloves for cleaning of metal with mineral spririts. * Plastic drafting templates – good for repetitive patterns if you hate to draw. I will be bringing some. * Apron, and magnifiers if you use them. * Cell Phone charger that has a DC output of 9 volts or less. 5 volts is better. I will have these chargers converted and ready to go for $20.